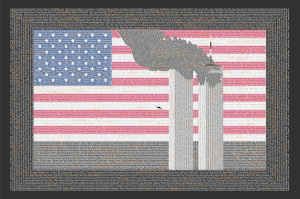 By now the misinformation and ignored findings surrounding the September 11, 2001 attacks have evaporated the official version into the land of fiction. Didn’t it seem strange that we learned everything of the government version by the next day? Much has been learned about the attacks, yet the official version has never changed; it seems as though our government thinks the point moot since it used this excuse to pass unconstitutional laws and wage wars resulting in oil profits. The time has come to admit the sorry truth as a nation, so that we can move on – as a nation. The planes did not bring those towers down; bombs did. So why use planes? It seems they were a diversionary tactic- a grand spectacle. Who would want to divert our attention from the real cause of the collapse of those towers? It must be those who benefited most from these attacks. Let’s recount some facts of that dreadful day. Any time an aircraft deviates from it’s course, the air traffic controller requests a military intercept according to military response code 7610-4J. This was the first time interceptors were not sent up in the history of this policy. The intercept pilots are trained to make a visual check of the cockpit… could this be the reason these interceptors were intercepted? Planes were sent to the New York area, after unprecedented delay, from Falmouth, Massachusetts rather than nearby Ft. Dix or Laguardia. Of course, they didn’t arrive in time – there was no visual scan of the cockpits. Captain Kent Hill, retired from the Air Force, explained that the U.S. had flown unmanned aircraft, similar in size to a Boeing 737, on preprogrammed flight paths from Edwards Air Force Base, California to Australia on several occasions. He believes the airliners used in the attacks had their on board computers knocked out and were subsequently choreographed by an Airborne Warning and Control System. Along side Captain Hill, an Air Force officer with more than 100 sorties in Vietnam stated, ‘Those birds either had a crack fighter pilot in the left seat, or they were being maneuvered by remote control.’ We know that the technology exists to fly hijacked commercial airliners by remote control – it’s called ‘Globalhawk.’ We also know that the military has had an unmanned drone aircraft known as the ‘Predator,’ since 1994. A saboteur would merely have to reprogram the controls to switch from manual to remote; those airliners practically fly themselves already with the autopilot. This would require electronic security codes… acquisition of electronic codes would also explain the lapse of interceptor response due to sabotage. Furthermore, it’s a fact that Air Force One codes were known and punched in by a rogue source on 9/11, proving the presence of an inside, subversive element. As usual, it’s not a good conspiracy, if it doesn’t involve a Bush! Introducing Marvin Bush – brother of George Jr. Marvin is a substantial shareholder and was on the Board of Directors until 2000 of a security company aptly named Securacom. This is not an ordinary security force with canvas badges and walkie-talkies; it’s an electronic security company, which was ‘coincidentally’ involved with Dulles Airport until 1998. Handling electronic security at Dulles seems like an excellent way to gain access to Air Traffic Control communication codes with NORAD, which is in charge of intercept missions. According to CEO Barry McDaniel, the company ‘handled some of the security at the World Trade Center up to the day the buildings fell down.’ How convenient, huh? Bombs were in those towers… Bush’s presidency was saved by these attacks – just something to think about. Five of the twenty ‘suicide hijackers’ are alive and well according to the BBC and they want their names cleared. So who was flying those planes? We may never know exactly what happened with those jets; what we do know is that the official version crumbles under scrutiny. These planes were merely a diversion, as proven by the presence of bombs… that’s right, PROVEN! Just after the disaster, Firefighter Louie Cacchioli said, “We think there were bombs set in the building.” Notice he said ‘we’. At 9:04, just after flight 175 collided with the South Tower, a huge explosion shot 550 feet into the air from the U.S. Customs House known as WTC 6. A huge crater scars the ground where this building once stood. Something blew up WTC 6 – it wasn’t a plane; it must have been a bomb of some sort. The seismic record from Columbia University’s observatory in Palisades, NY (21 miles away) provides indisputable proof that massive explosions brought down those towers. At the precise moment the South Tower began collapsing, a 2.1 earthquake registered on the seismograph. At the precise moment the North Tower began collapsing, a 2.3 earthquake registered; however, as the buildings started to crumble these waves disappeared. The two ‘spikes’on the seismograph, which both occurred at the exact instants the collapses began, are twenty times the amplitude, or more than 100 times the force of the other waves. If the buildings had simply collapsed, the largest jolts would have occurred when the massive debris struck the earth, not at the beginnings of the collapses. Seismologist Arthur Lerner-Lam of Columbia University stated, “Only a small fraction of the energy from the collapsing towers was converted into ground motion. The ground shaking that resulted from the collapse of the towers was extremely small.” In other words, the collapsing did not cause 2.1 and 2.3 magnitude earthquakes. Furthermore, a ‘sharp spike of short duration’ is how underground nuclear explosions register on seismographs. Underground explosions, where the steel columns meet Manhattans granite would account for both the demolition-style implosions and these ‘spikes’ on the seismograph. Another seismologist at the Palisades observatory, Won Young Kim said the 1993 truck bomb did not even register on their seismographs because the explosion was ‘not coupled’ to the ground. Imagine the magnitude of explosions it would take to register the two earthquakes, when the truck bomb didn’t even show up. The American Free Press reported that in the basements of the collapsed towers, where 47 central support columns (per building) connected with the bedrock, hot spots of ‘literally molten steel’ were discovered more than a month after the attack. There is only one explanation for this: An explosion of unprecedented magnitude destroyed the bases of the columns, then the massive structures buried the impact points, trapping the intense heat below for all that time. Why was no investigation permitted of the debris? Dr W. Gene Corley headed the FEMA sponsored engineering assessment of the World Trade Center collapse, which performed no tests on the steel for traces of explosives. When asked about this process known as ‘twinning,’ he responded, “I am not a metallurgist.” Dr. Corley also ‘investigated’ the debris at Waco and Oklahoma City… and we all know how thoroughly those ‘investigations’ were performed. No government agency performed forensic examinations of the rubble; no effort was made to validate their official story. The rubble was quickly loaded onto ships and delivered to China for smelting. These are the actions of criminals disposing of evidence! By these actions, FEMA proves itself to be a subversive element in our government! Former Deputy Director of the FBI, John P. O’Neil stated, “The main obstacles to investigate Islamic terrorism were U.S. oil corporate interests and the role played by Saudi Arabia in it.” Can you think of anyone (Bush) linked to both wealthy Saudi Arabians and U.S. corporate oil? John O’Neil resigned from the FBI after 31 years of service after Barbara Bodine, currently part of the Iraqi transition team, barred him from following up his investigation of the attack on the U.S.S Cole. He took a job heading security at the World Trade Center… his first day of work – September 11, 2001. John O’Neil received the job from Jerome Howard, Former Director of the New York Office of Emergency Management, who happened to have the day off on 9/11. We may only speculate on the case of Mr. O’Neil, but he does seem to be a person which U.S. oil corporate interests would want out of the way… especially during these wars for oil and power in Iraq and Afghanistan. The top FBI officials in Minneapolis called off investigations of Zacarais Moussaoui, causing bitter resentment among field agents. The man who made the decision not to investigate was promoted! Israeli intelligence agents lived next to the alleged hijackers in Hollywood, Florida. The ‘hijackers’ were trained at U.S. government flight schools. Insider training on United Airlines leads to the conclusion that there was foreknowledge of these attacks; it also establishes that those with this foreknowledge are, at least, relatively wealthy. Another suspicious finding is that the World Trade Center was sold to Vornado Realty Trust in February, seven months prior to the attacks for 3.25 billion dollars… this doesn’t prove anything, it’s merely suspicious. Furthering the suspicion of Mossad involvement, five Israelis were seen atop a van smiling and celebrating, while taking videos of the disaster from across the Hudson River. These five were arrested by the FBI and detained for two months before being deported back to Israel. Two of these men were positively identified as Israeli intelligence agents. Eighty-one nations are represented among the World Trade Center’s dead – Israel is not one of these nations even though approximately 1200 of its citizens worked there. As if that wasn’t enough, an instant messaging firm in Israel, named Odigo, received warnings about the towers two hours before the attacks. Everyone who points out the wrongdoings of Israel is immediately labeled ‘anti-Semitic’… well, the truth knows no race or religion – it’s just the truth. These aren’t Jews carrying out these plans; it’s merely sick animals who hide behind the Jews! WorldTradeCenter.com describes David Rockefeller as the ‘Visionary behind the World Trade Center.’ He pushed the construction of these towers through major opposition with the aid of his brother, then governor, Nelson Rockefeller. David has been quoted as saying, “We are on the verge of a global transformation. All we need is the right major crisis and the nations will accept the New World Order.” Was this the ‘right major crisis’ to advance the aims of a global government? There is overwhelming evidence to support the findings that these alleged Arab terrorists were merely scapegoats used to advance the World Government agenda. During the attacks, ‘President’ George Jr. was reading a book with school children about goats! (Scapegoats?) Arab terrorists did not carry out these attacks which were detrimental to the Muslim world. All evidence points to elements inside, high atop the governments of Israel and the United States. Those wishing to implement their world government through their control over finance, media and militaries are guilty of these most heinous crimes. This atrocity is proving to advance the domestic police state agendas and consolidate the Middle East’s oil reserves. The people who most benefited from these attacks are the wealthiest, most privileged and powerful men on earth who feel they will finally be able to hold dominion over the nations of the world through their New World Order. For some of these globalists, these attacks were merely a means to an end – a huge step toward ruling a world socialist system. But for others, likely the planners of such a vile crime, this was a mass sacrifice to themselves. This mass ritual sacrifice of the vulnerable and the heroes who tried to save them was perpetrated by power crazed freaks who are simply – satanic.